Eurodollar is starting new descending movement. I opened another sell order during correction. 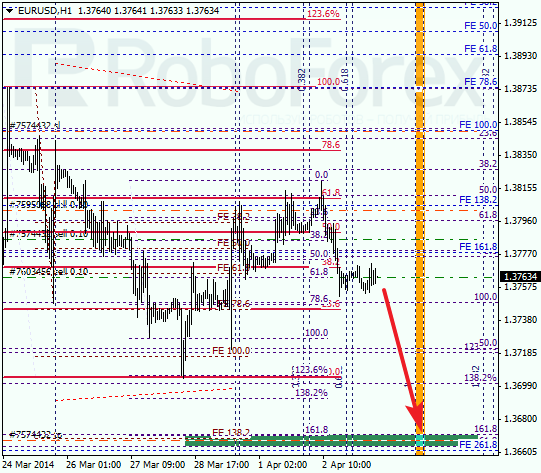 Main target is still near the group of lower fibo levels at 1.3665. As we can see at H1 chart, yesterday pair rebounded from local correctional level of 61.8%. Bears are returning to the market and may break latest minimum during the day. 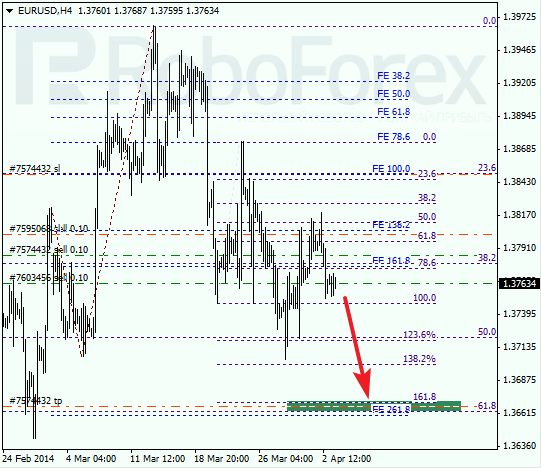 According to analysis of temporary fibo-zones, lower target levels may be reached until the end of the trading week. Franc is starting new ascending movement and I decided to move stop on my buy order into the black. Possibly, price may break local maximum in the nearest future. 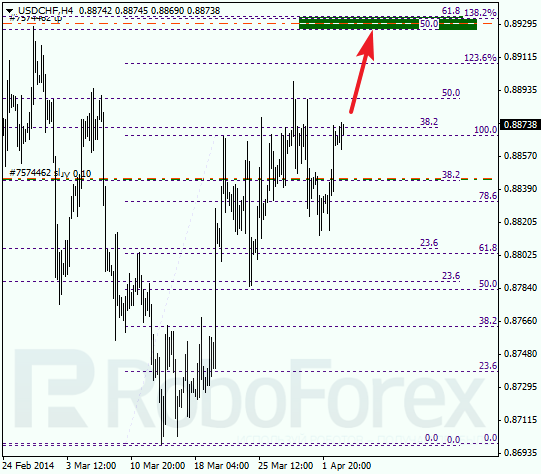 Target is still near the group of upper fibo levels at 0.8930. 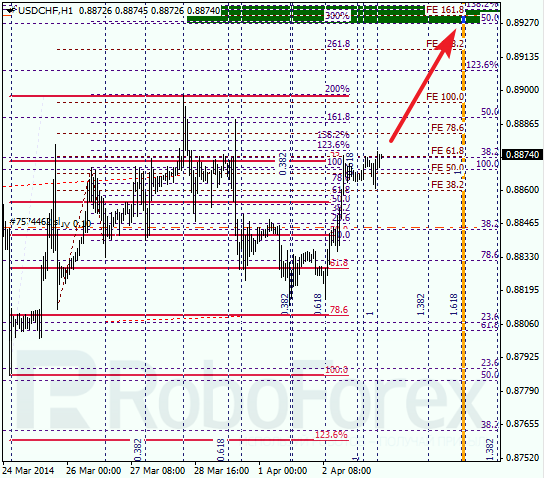 As we can see at H1 chart, bulls were able to rebound from local level of 61.8%. Most likely, they will reach upper targets on Friday. If later pair rebounds from these levels, market may start new and more serious correction.